DCS will again host one of the best WCS dance conventions in the country. Full event pass is only $140, and covers Thursday night through Sunday night and ALL WORKSHOPS ARE FREE, except for the Intensives. Voted #1 Staycation in Arizona. Just 6 miles from Sky Harbor Airport. Rooms are 2-room suites with balcony or patio for only $112/night. Resort Guests also get FREE admission into the famous water Park, featuring 3-eight story waterslides, Lazy River, 3 separte pools including a kids and wave pool. No resort or parking fees. Reservations 877-800-4888. 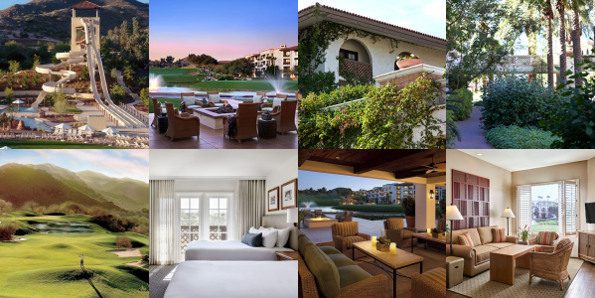 Book your room for $112 right now before the Desert City Swing sells out! 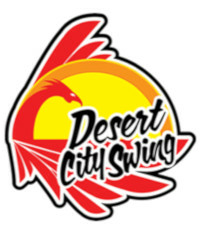 In order to receive the $112 rate please mention "Desert City Swing Dance"
Desert City Swing has a $2.00 off one-way/ $4.00 off round trip discount on SuperShuttle. Details on this service coming soon - stay tuned! The discount only applies to SuperShuttle shared-ride transfers. NOTE: There is a $3.00 reservation booking fee if the guest calls directly into reservations. There is no booking fee when making reservations online. Jordan Frisbee, Tatiana Mollmann, Kyle Redd& Sarah Vann Drake, Benji Schwimmer, Brandi Guild, Parker Dearborn& Mellissa Rutz, Ben Morris & Victoria Henk, Jen DeLuca, Arjay Centeno, Malia San Nicolas, Brent Key, Patty Vo, Michael Kielbasa, Kellese Key, Demetre Souliotes, Sean McKeever & Courtney Adair. And then, my favorite MC, Ronnie Debenedetta. Judges: Phil Adams, Laureen Baldovi-Mason, Martin Parker, Katie Boyle, Nathan Miller, Buddy Schwimmer, Laurie Schwimmer, Dawne Kiehm, Angel & Debbie Figueroa, Donnie Carl, Fred& Leslie Price, Bob Tucker & Anastasia Tsimbidis. DJs: Ruby Lair, Emily Reed, Helen Tocco, Larisa Tingle-Schubert, Shawn Jessup, Fred Price & Thomas Carter. We will also host our famous Junior Workshops by top Champions Parker Dearborn & Melissa Rutz and others. DCS has a no refund, no exchange policy. You may sell your ticket to someone else but you must contact us with that person's full name.